I’ve been a fan of Survivor since the first season. You can learn a lot about personal growth, leadership, and relationship dynamics when you watch with these objectives in mind. While it’s true that you can’t win a game of Survivor by being honest, loyal or telling the truth, you still need self-awareness, communication skills and social skills. 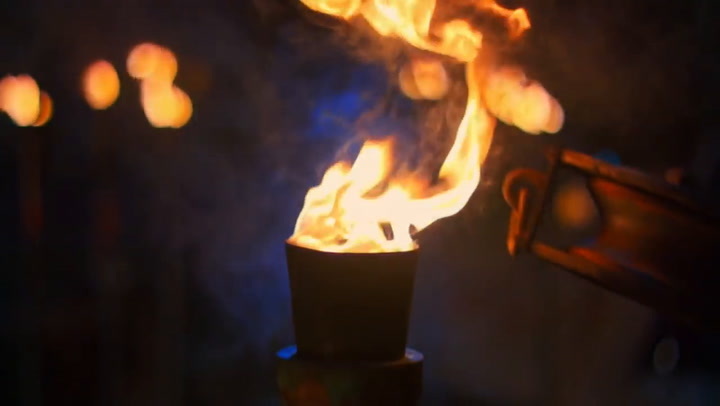 Even on Survivor you still need other people to help you achieve your outcomes, and it’s easier to get people to collaborate when you are a great communicator. Let’s explore the themes of self-awareness, blind spots, and communication in the first show of the season, Edge of Extinction. I have compassion for Reem, even though she’s outspoken, blunt, and aggressive, she’ also very sensitive and visibly upset about being the first to be voted out. Reem, a 46 year old mother, clearly felt picked on, and blamed the vote on age bias. The real enemy was her lack of awareness and social skills. Reem viewed herself as a helper, but her tribe viewed her as overbearing. She just couldn’t keep her hands off of other people’s laundry. When tribe members had their clothes hanging in trees to dry, Reem took them down to lay them on the beach. She didn’t ask. She assumed. And by assuming she crossed a boundary. And did you notice that people complained to each other but said nothing to the one they actually had the problem with? Does that sound familiar in your workplace? Why do we wait until we have had it up to here? Why not speak up earlier? In every sitcom, (Think Everybody Loves Raymond) and in every source of relationship drama, there’s always some element of failing to speak truth. A lot of the work I do is about helping people address the elephant in the room. However, even the best communicators won’t address the elephant if they feel the elephant is going to trample them. Unfortunately, when we don’t tell people what bugs us we don’t give them a chance to change. Without reflection and self-awareness, most of us simply can’t see ourselves as others see us. The overarching lesson here is all about self-awareness, communication, and relationship dynamics. 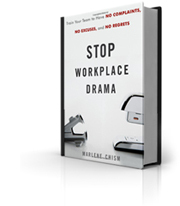 Whether you are playing a game of survivor, or leading an organization, social skills are critical skills.Marlene Chism is a consultant, international speaker and the author of “Stop Workplace Drama” (Wiley 2011), “No-Drama Leadership” (Bibliomotion 2015) and “7 Ways to Stop Drama in Your Healthcare Practice” (Greenbranch 2018). 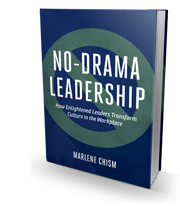 Download “The Bottom Line: How Executive Conversations Drive Results.” Connect with Chism via LinkedIn, Facebook and Twitter and at MarleneChism.com.